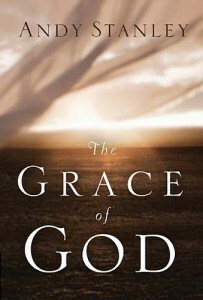 The word “grace” really intigues me… I have often been on the receiving end of God’s grace many times in my life so this book definitely caught my attention. Mr. Stanley has written such a deep yet simple to read book on the subject and using msny Old Testament examples really gives us an in depth look at what grace is, who can have it and what it means in our own lives. As humans we often mess up and of course we were born into a world filled with sin. God knows we can’t be perfect, he knows our frailties and problems~ the things that get in our path and cause us to stumble, yet He continually pardons us if we ask and extends His gracious hand to us. I think if you are a person who thinks “God can never forgive me” or “how could God love someone like me?” you definitely need to dive into this book. It was refreshing to read that “the very thing we need is the very thing we do not deserve…” that wonderful grace of God. Coming to understnad this gift of grace is foundational to the Christian faith and Andy Stanley has written a clear and concise book that every Christian should take time to read. You need to read this book. I know that my rambling does not come anywhere close to explaining how good this read is… thanks Mr. Stanley for reminding me about this gift of grace and for educating me a little more about what it really means. Book has been provided courtesy of Thomas Nelson and Graf-Martin Communications, Inc. Available October 2010 at your favourite bookseller. You Are Invited to Where in the World are You Wednesday- A Global Blog Hop!